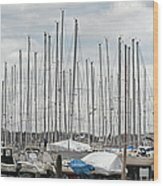 There are no comments for Glen Cove Mast Appeal. Click here to post the first comment. 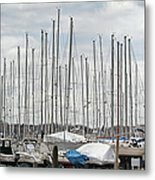 A panorama of sailboats still on land waiting to be launched for the new season. The many masts interrupt the clouds of a spring day. 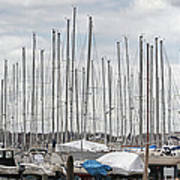 Covered motor boats also wait for their time to be launched in Glen Cove, NY.